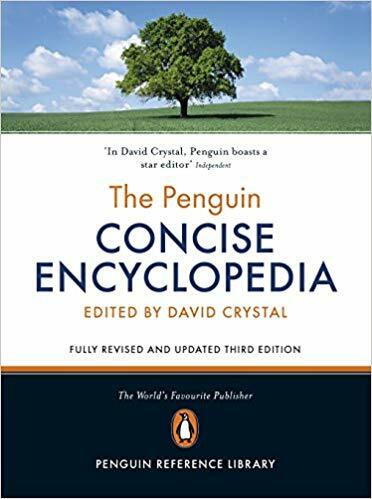 World-renowned linguist and reference editor, David Crystal, brings us the third edition of Penguin's Concise Encyclopedia. This abridgement condenses the core material in the third edition of the Penguin Encyclopedia which has already reached a world sales total of over 23,000 copies in hardback. David Crystal has a gift for clarity and concision which enables him to illuminate even the most intricate concepts. Here he offers over 22,000 alphabatised entries on the facts, events, issues, people, beliefs and achievements that make up the sum of human knowledge. Entries have been written by over 350 specialist contributors from universities, museums and other institutions of excellence around the world. The Concise Encyclopedia is part of the Penguin Reference Library and draws on over 70 years of experience in bringing reliable, useful and clear information to millions of readers around the world.